The June that never came or where is summer? The short answer is that it comes back tomorrow but with a low of 53 degrees this morning it is hard to imagine. What a glorious few days especially yesterday, we will be dreaming of such a day in a few months. Despite the unusual weather the change of seasons is upon us, the crops always know. The coolness of the last few weeks has allowed the greens to last longer in peak condition than normal but even they are running out of gas, so this week is probably the last of a number of things like beets and fennel. Soon the mower will take it all out and the summer cover crops will be seeded. Flowers too, finished are the campanula, snapdragons and poppies but here come the sunflowers, zinnias and gloriosa daisies. And there are tomatoes! Those of you who got to market very early last Saturday and this past Wednesday were fortunate enough to get some of the very first tomatoes of the season. We didn’t have it in the newsletter as the ripening has been slower with the cool weather and we couldn’t gage how many we would have. We now have enough to actually make it public. Rest assured we have been quality testing for more than a week, nearly daily tomato sandwiches and last night the first tomato and basil risotto for the season! Just amazing that the cool(ish) spring weather continues this late into June along with the rains. We are trying hard to catch up on weeding, tying up tomatoes and other chores held up by both the wet conditions and blueberry season. Blueberry season is over this week (we will cruise through the planting one more time tomorrow) so now we can concentrate on taking care of the summer crops. The main red onion harvest is finally over too, hard to pull onions when it is too wet but the urgency to get them out before the weeds took them was pressing. They will now cure for a week before we begin to bring them to market. 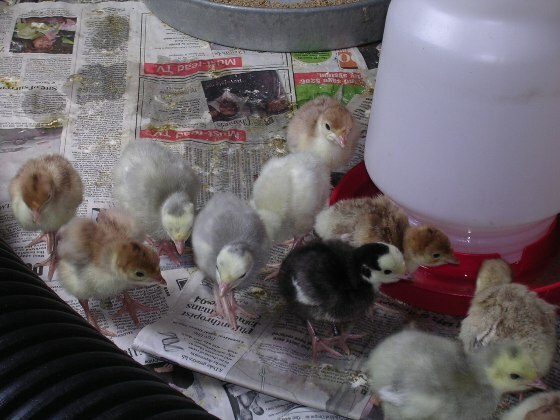 The past week is normally when the little turkey poults arrive in the mail but not this year. There are multiple red flags that have caused us to hold off raising turkeys this season. Feed is the number one cost in raising the birds despite the fact that they are pastured. Feed prices remain at record high levels and on top of that, the feed plant that we have used that past few years had a fire earlier this year and is still shut down, making it difficult to get the feed we want, two strikes. Last fall, the week we went to process the birds, we found out that the freezer plant that we had used for a decade would no longer allow us to store our turkeys there (they changed ownership) and we scrambled to find a substitute facility. We did but were underwhelmed at the options and the service we ended up with, third strike. But there may be a silver lining to the story. There are two reasons we have processed our birds well before Thanksgiving- one is just the shear madness at the processing plant just before the holiday and the other is the Broad Breasted Bronze poults that we prefer were generally not available later than mid June making it necessary to process them in early October otherwise we would end up with 30 pound birds. We have now found a hatchery that can provide the little birds up into August. This would allow us to both avoid the freezer plant issue, with fresh birds, and we also may be able wait out the feed plant closing. We will let you know the outcome. OK so it’s now three days from the official beginning of spring and it’s snowing! 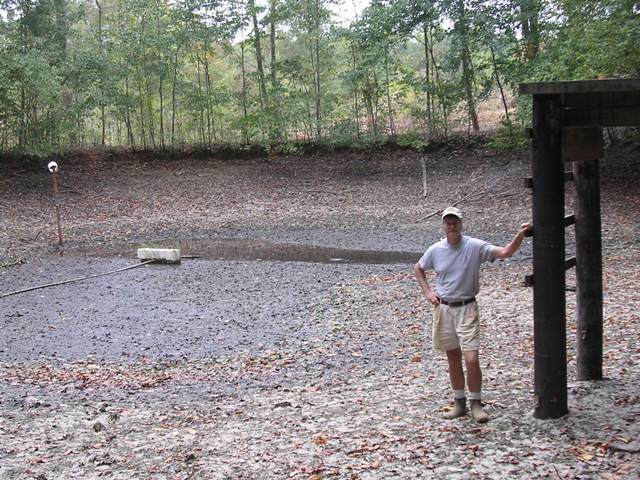 We have consulted with lots of our fellow farmers and no one can quite remember a spring this late in getting started. We are moving forward with the planting plan, as usual, and I think we have caught back up to where we need to be but things just look sad out there in the cold! There are now over 6000 heads of lettuce in the field and I managed to get the first spinach, turnips, carrots, radish, beets, broccoli raab and the first two plantings of sugar snap peas in the ground but we are still waiting to see them come up. Most of the flowers look good except they are not as far along as they should be. Now most of this will quickly correct itself with some consistent warm days, we do wonder though. In the greenhouse I have gotten a little out of control. Last week was the big tomato and pepper seeding and as hard as I try to not look at the seed catalogs the siren call of new varieties is seductive. 20 varieties of tomatoes this year including two new purples, several new reds including three we brought back from Italy. On the pepper side the story is even worse. 36 varieties, partly due to our Italian travels again as well as our continued search for disease resistant varieties. We have been devastated the last two wet seasons with bacterial leaf spot, which defoliates the plants. This is a huge problem for large commercial growers and so the breeders are now releasing resistant varieties, at least in the sweet bells. Our yellow bell has the resistance and it really works, we found one red bell last season that we liked and we are now going to trial four newer ones also. There are also three new varieties in each of the Poblano and Anaheim/New Mexican green chile types. The logistical nightmare of keeping track of all these varieties is huge; from soaking seeds, to seeding in small-cell-size flats (almost 5000 seeds), to moving up the best seedlings into larger containers and then finally moving them to the field and remembering where they are! All this talk of tomatoes and peppers makes it seem warmer outside already. 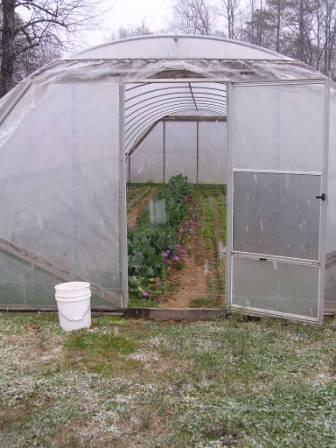 Snow falling outside while the collards, anemones and lettuce are staying warm inside. A day late with the newsletter for good reason. The heritage turkeys came yesterday morning and we were scrambling around getting the brooder house (a.k.a. Poultry Villa) ready for them. Every year it is something new with this turkey thing. This year there are problems between the US Postal Service and certain airlines, who carry the mail, about shipping live birds. So we were not sure that we were going to be able to get these turkey poults from Texas until they confirmed that they had actually made it on to the plane. That was Tuesday afternoon and we originally thought we had until Thursday to get ready! So we scampered around until dark on Tuesday getting the brooder all cleaned out and disinfected and going to town to get feed and bedding. Yesterday morning I was putting the finishing touches on the Poultry Villa as Betsy drove up to the Post Office after they called at 7:00 to let us know that the the little cheeping box had arrived. So here we go again! 70 two day old balls of fluff zipping around. So far they are all singing and dancing amongst the feeders and waterers. We plan on getting another 35 Broad Breasted Bronzes from a local source in about 6 weeks to round out the flock. Cinco de Mayo today and to celebrate we got all of the hot peppers in the ground the last couple of days, now we have to get all of the sweet bells planted if it will ever warm up! It is now official, this cool spring season is the worst we have had in over ten years. So cool that even the cool season crops are holding back including the flowers! For the first time ever we will not have the overflowing flower display at market for the Mothers Day crowds. It is also holding us back a little on getting the rest of these peppers in the ground as we plant the sweet bells, no-till, into a cover crop that we kill by rolling it down. The problem is the cover crop won’t kill/die if it is not blooming and because of the cool weather it too is delayed. Additionally if we plant the sweet bells into the colder-than-usual soil under that cover crop they will just sulk. We plant the hots into black landscape fabric, just as we do with the early tomatoes, so that the soil is warmer but the sweet peppers don’t need as much heat , usually. So we are going to wait a week to see if warmer temperatures will finally settle in. How am I going to bring out the pepper roaster on schedule if peppers are delayed? The cool weather has some good points. Because there is not a lot for the staff to harvest yet we are getting really caught up on all the other jobs around the place. 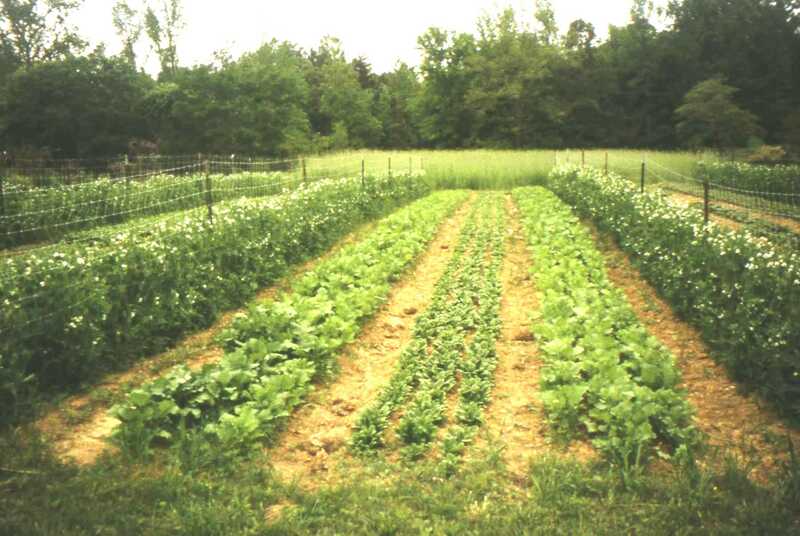 Everything is weeded (well almost) , irrigated and trellised. We may have to break out the paint brushes and put a coat on the packing shed or something! The Rhubarb plants finally came this week and we planted them quickly. This is the third time we have tried Rhubarb so if it doesn’t work this time then destiny is not on our side. I think we finally have learned from our mistakes and have it in the right spot. Next year we will see if we were right. The video crew from NC State came out on Tuesday to shoot for a piece on the farm for the on-line Agroecology course. If it is available for the public to view I will give you the link when it happens. The first warmish morning when you can see the air outside. We are torn. On one hand we would really like to see some warmer weather so that the newly planted warm season crops would not sit there and stare at us with those how-about-another-blanket eyes. 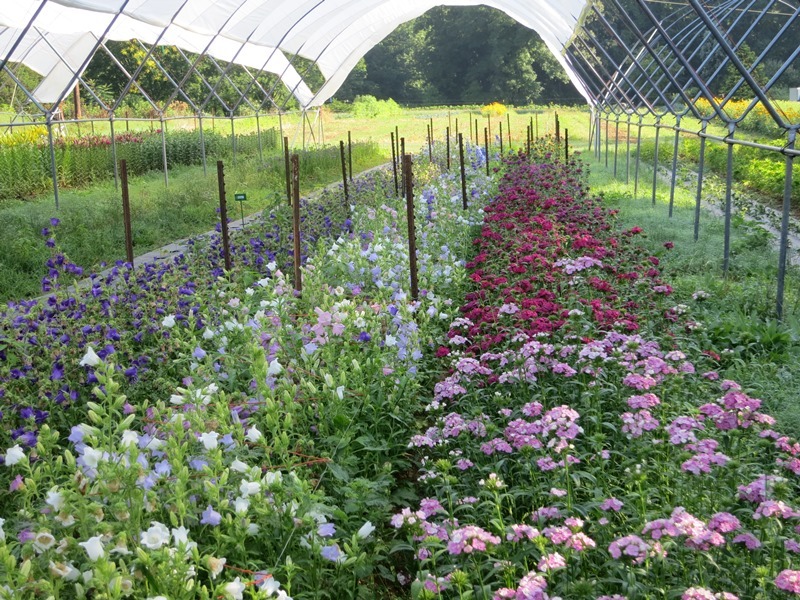 These crops like tomatoes and peppers and zinnias get established best and in the long run produce better if they go into warming soil and grow fast. They end up producing earlier and have less stress so they can fight off insects and diseases better. You set their roots down into cool soil and they just sulk. It is kind of like putting your toe into really cold water and recoiling, you could go for a swim but won’t enjoy if much and might die of hypothermia later! On the other hand we don’t want to see it run up to the nineties either. All of these beautiful cool season crops that we have been coaxing along because of the extremely cool conditions the last month or so will look at us with those someone-turn-on-the-air eyes. One of the reasons that California is the salad bowl of the nation is because they grow in the cooler coastal valleys where the conditions are ideal (except for this year with the rains, good for us in the east coast lettuce business) it rarely gets above ninety and the nights are cool. Remember Mark Twain’s quote that goes something like “the coldest summer I ever spent was a week in San Francisco”. We have those kinds of conditions here for about 15 minutes in late April or early May the rest of the time we are just hoping for the best. Wholesale lettuce deliveries kicked in this week. If you came out on the Farm Tour you saw the 10,000 heads of lettuce just about ready to begin harvest. We have done all of the spring lettuce for Weaver Street Market for fourteen years now. In a perfect season it comes down to five weeks worth of supply for them from late April through the end of May. Any earlier it is too cold to put plants out and any later it is too hot and they get bitter. We seed different varieties of lettuce in the greenhouse every week for twelve weeks beginning in December and then transplant those plants to the field every week for about ten weeks beginning in early February. Different varieties mature at different rates, Boston is faster to grow than Romaine. In the end if we have staggered them correctly they come off in an orderly fashion. I tell folks that growing lettuce for the stores is like running towards a cliff as fast as you can, if you stop short the heads are not big enough, if you go too far you go over the cliff edge and the heads are past their prime maybe bitter and beginning to go to seed. This window for prime lettuce is only usually four or five days. So we are cutting fast these days. Monday and Thursday mornings we cut for delivery to the stores those afternoons and Wednesday and Friday mornings we cut for the markets and the restaurants. In total we will cut 50-60 twenty four head cases a week. When it is all over I am ready to stand upright and pick blueberries and tomatoes! As usual more planting, weeding, trellising, irrigating, and finally more picking. Need to get that lettuce out of the way because Betsy needs to get more flowers planted there. The peas are blooming up a storm and the flowers are responding to the warmer temperatures. The Turkeys seem to have finally settled in. The first few days can be a little rocky until they all get the hang of eating and drinking. We lost seven Bourbon Reds the first five days but have had no losses since Sunday. This is one of the difficult realities of raising animals, sometimes they get sick and die no matter what you do. At $7.00 a bird it can add up quickly. Now that we are over that hump they usually are extremely hardy, last year we only lost two out of sixty heritage turkeys and none after the first three weeks. Cross your fingers! Look at those peas! Can’t wait until we can eat all we want. Glorious fall like weather these past few days and we have been reveling in it and getting a lot done. Mornings have started kind of brisk at least in comparison with the past month, long pants and shirts, Elizabeth has even started the days with a wool hat on! Slowly the unraveling of the farm proceeds. The little sliding tunnels have been cleaned out of their long finished tomatoes and melons, the first ten rows of tomatoes in the Big Tops are now gone too. All of the trellises, landscape fabric mulch and irrigation line out too. Lisianthus trellis pulled out and drip lines in the old Zinnias pulled up. Tomorrow we will take the plastic off the Big Tops and cinch the long rolls up like sausages to rest the winter in the valleys between the bows. One week to go now until we are finished marketing for the year and then the final clean up will begin, taking down the last of the tomatoes and the major roll up of the pepper field. If it will rain a little more and I can get soil worked for next year we will seed it all down to a beautiful winter cover crop to hold it until we pull their starter rope again early next year. Soon the staff will head off for their winter occupations and Betsy and I will be here all by ourselves enjoying the heart of the fall. Too much to do the think about all that now and the forecast for the weekend is to be back into the low 90’s, so the reality will come rushing back. All of the summer cover crops and as many of the finished cash crops as possible have been mowed in anticipation of the fall soil preparation fiesta. Today I need to go and take soil tests as I am bit late in getting them done. It has been so dry that it is hard to get the soil probe in the ground which makes taking a hundred or so samples a real pain. But I can’t wait any longer because I will need the results soon so I can add any amendments they may indicate before I seed all the winter cover crops. We also need to begin planting flowers for Betsy and leeks for me for next spring. And all too soon the ranunculus corms from Italy will be here and they will need to go into the ground too. Guess I better get out there and get to work.